Starry-eyed romance gives way to the stark realities of adulthood in this confident, well-crafted debut. A seemingly mismatched twentysomething couple fall in love and decide to pursue their fortunes in New York. Soon, both small-town Canadian boy Evan and upper-class Bostonian Julia are doubting each other and themselves. Anna Pitoniak is a keen observer of young people’s dreams and fears as they move into maturity. She lets Evan and Julia narrate their stories in alternating chapters that are honest without being overly sentimental and dramatic without being overwrought. 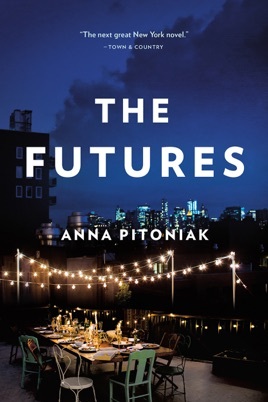 Set amid the 2008 financial collapse, Pitoniak's assured debut explores the cost of realizing and misinterpreting one's dreams. Evan Peck, the son of grocery-store owners in remote British Columbia, needs student loans and a hockey scholarship to afford the Ivy League, while Julia Edwards hails from Northeastern privilege. Meeting at Yale, they fall promptly in love despite their different upbringings. Upon graduation, Evan lands a plum job at a Manhattan hedge fund fighting to survive the deepening Wall Street meltdown, as Julia, unsure of her calling, settles for a low-level job at small nonprofit. Soon, the couple seems to share little more than their cramped apartment. An exhausted Evan worries when the deal he's working on turns out to have a shady underside; Julia finds in a charismatic journalist the sense of promise that neither work nor Evan gives her. As the distance between them leads to betrayal, they must face the ways they have sabotaged each other and themselves. Navigating terrain love and youth, college and city life that's often oversimplified, Pitoniak eschews clich for nuanced characterization and sharply observed detail. 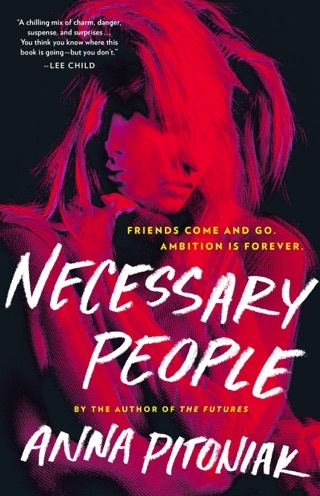 Evan and Julia ring true as 20-somethings, but Pitoniak's novel also speaks to anyone who has searched among possible futures for the way back to what Julia calls "the person I had been all along." A great book, I absolutely loved it, but the ending was too abrupt!